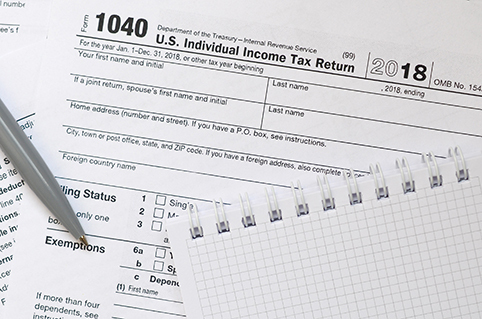 Tax season is well underway, which means millions of Americans are sorting through their W-2s, 1099s and other financial statements to calculate taxes owed or refunds. It’s a stressful time. But if you plan right, you can make taxes work to your advantage. There’s a silver lining … a way to make the most out of your dollars and strategies that can even keep you financially healthy down the road. For those with few regular health expenses, there can be a savvy way to move tax-free contributed funds into investment portfolios. Consider the advantages of opening a Health Savings Account (HSA). An HSA allows individuals to pay for qualified health expenses and save for future qualified medical and retiree health expenses on a tax-free basis. Unlike an FSA, there is no use-it-or-lose-it, which alleviates a lot pressure to spend the remaining amount at the end of the year. While there are many benefits of having an HSA account, one of the biggest benefits is that all contributions are pre-tax/tax-deductible, meaning the money remains tax-free. On top of that, the unused amount rolls over from year to year while earning added interest. For the current 2018 tax year, individuals can contribute $3,450, and families can contribute $6,900 tax-free into their health savings accounts—used to pay for qualified medical expenses at any time without federal tax liability. If you are 55 or older, you can contribute an additional $1000. This can be done by working with a benefits administrator, certified to operate and manage health savings accounts. Unlike capital gains or charitable giving in which the clock runs out with the calendar year, you can make your annual contribution up to the due date of your personal income tax return in any given year. That means, much like an IRA, you can still today apply the full $3,450/$6,900 contribution to the 2018 tax year until your return is due on April 15 (or later with extensions). Since HSAs roll over each tax year, many people have HSA accounts that go well beyond their annual deductible. It is possible to grow the account to a point where it becomes an investment tool. HSA benefits administrators team up with brokerage firms and create self-directed joint brokerage accounts. While navigating the waters of forms and calculations this tax season – a health savings account can be a welcome life raft to protect income that would normally be used on qualified health care expenses or investment savings.